Petsafe Sedona Pet Drinking Fountain Review - Does It Work For Cats? Petsafe Drinkwell Sedona is designed with a modern and elegant look, with a water capacity of 100 oz and suitable for small and medium sized pets. 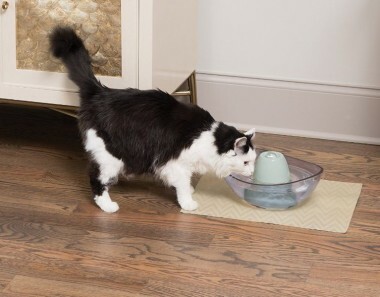 This pet fountain creates a constant water circulation that entices pets to drink more because they tend to prefer moving water. 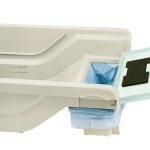 The pump is submersible and keeps the water aerated and fresh which prevents bacteria growth. Petsafe Sedona uses two filters to keep the water clean and fresh. The carbon filter keeps the water taste fresh and it’s made from organic coconut shells. The foam filter catches hair and debris from going into the pump. The fountain consists of 9 parts: Bowl,Tower, Filter Housing, Rubber Grommet, Rubber Cap, Carbon Filter, Foam Filter, Pump, AC adapter. All parts need to be assembled. The fountain is made from a clear acrylic type plastic. 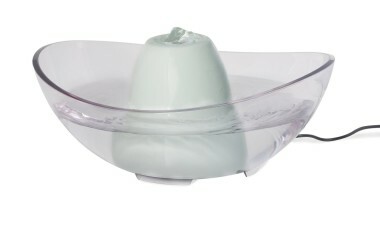 The bowl is curved and it has a ceramic tower in the center that covers the pump. The water is pumped up through the ceramic tower going through the carbon filter and out the top. The water comes out as a small bubble, although most of the water flows quietly down the sides. This ceramic piece in the center is removable and just sits on the bowl. When the water level is low the pump starts making a gurgling sound which means it needs to be refilled. The pump has a removable in-line plug for easy plug removal. The fountain does not feature an extra reservoir so in order to refill the fountain you just pour water on the bowl directly from a pitcher or similar or dump the existing water and refill with new water. The fountain is dishwasher safe but it’s more recommended to hand wash the unit using the drinkwell brush kit to deeply clean the fountain. This allows the cleaning of the pump and small parts easier. The ceramic part can be safely washed in the dishwasher but make sure to manipulate this piece very carefully so you don’t drop it. 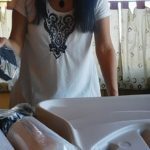 To clean the transparent bowl is recommended to use a very soft material such as sponge because it gets easily scratched. The fountain has two filters, the carbon and foam. The foam needs to be changed every one-two months, depending on the usage and it can be rinsed (only with water) to extend its lifespan. The carbon filter is recommended to change every 2-4 weeks, but they can last longer if using filtered or purified water. The fountain needs a deep cleaning every two weeks at least to prevent damage on the pump. The ceramic tower is not attached to the fountain, an frisky cat could knock it over. Usable drinking area of the fountain is not very big. The ceramic tower is heavy and can break anytime (no replacement available). Assembling is not a breeze (Instructions use drawings instead pictures making a little hard to follow). The speed of the water flow is not adjustable (but it works for most cats). Water capacity is more like up to 70 Oz instead of 100 Oz. filled to a reasonable distance from the rim. Rinse the carbon filter very well before use until water runs clear. Place the fountain away from the feeding area. Place some ice cubes to keep the water fresh and cool. 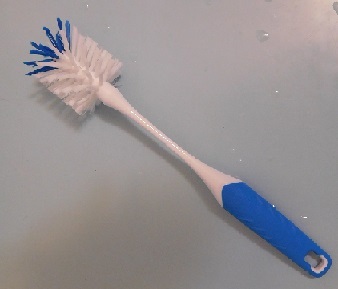 Get the Drinkwell brush kit to wash the fountain, it will make cleaning easier for you. Check a video here how to assemble the unit and how it works with a cat drinking from the fountain. The disassembling and assembling for cleaning could be a serious task if you are thinking of a water fountain that you can wash fast. This is not a water fountain to leave alone for several days. The cat will drink from this fountain whether licking the ceramic tower or directly from the bowl, if the cat drinks from the bowl will have a narrow space but it works.